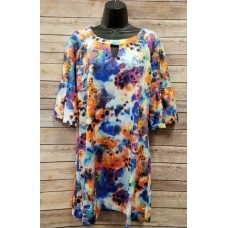 This Erma's Closet Blue and Orange Paint Drops Dress with Keyhole is fun for Summer! Pol.. This Erma's Closet Blue Stripe Ruffle V-neck Dress is great for Work and Play! 80% Polye.. 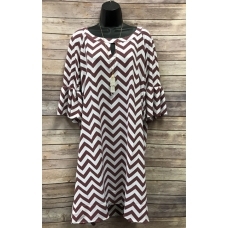 This Erma's Closet Burgandy and White Chevron Keyhole w/ Bell Sleeves is fun for Spring and Sum..
What a great top to pair with white capris or jeans. This Erma's Closet Coral and Raspber.. This Erma's Closet Coral and Teal Print U-neck Dress w/ Bell Sleeves is great for Spring and Summer!.. 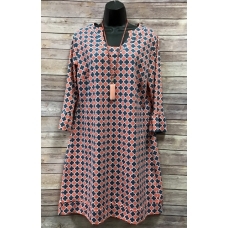 You will love this medallion tunic trimmed in coral and white polka dots. 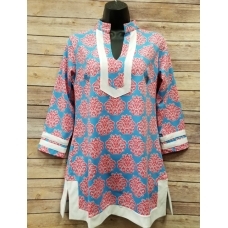 Great back with jeans or d..
You are sure to love this precious Erma's Closet Cornflower and Hot Pink Print Tunic trimmed in..
What a perfect dress for a Summer wedding. 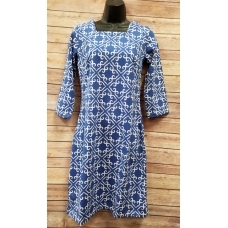 This Erma's Closet Cornflower and White Print Squar.. 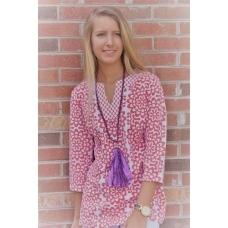 This Erma's Closet Flower Power Mock Neck Swing Dress is perfect for Spring and Summer! The sw.. 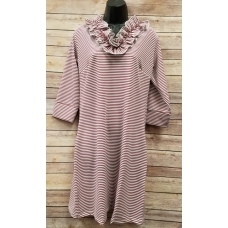 This Erma's Closet Garnet Stripe Ruffle V-neck Dress is great for work and play! 80% Polyester.. 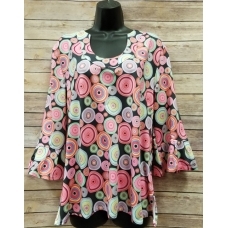 This Erma's Closet Black with Pink Circle Print U-neck Top if fun a sassy and goes great with black .. 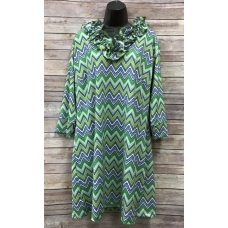 This Erma's Closet Green and Navy Chevron dress w/ Ruffle Collar is fun and sassy for spring an.. 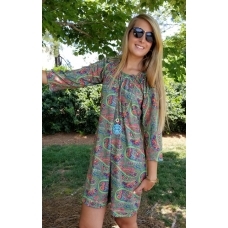 This Erma's Closet Green Paisley Babydoll Dress with three quarter sleeves is fun for summer!&.. Whether you are going to the office or out on the town you are sure to love this Erma's Closet ..